Listen to Tonal Ranger Radio every other Wednesday (or something like that) from 1 to 4 p.m., MST, on KNCE 93.5 FM, to hear songs from the albums reviewed in this space, and so much more interesting new music. Author’s Note: There’s something inherently silly about writing about music — the old saying that it’s like “dancing about architecture” always comes to mind — but it’s something I think many people enjoy doing anyway, myself included. And hey, who doesn’t do a little jig when they see the Sistine Chapel or even the Sears Tower? In the case of the Tonal Ranger columns, I think it’s nice that it accompanies Tonal Ranger Radio, my show that appears on KNCE 93.5 FM on Wednesday afternoons from 1 to 4 p.m., just about every-other-week (give or take some scheduling mayhem). 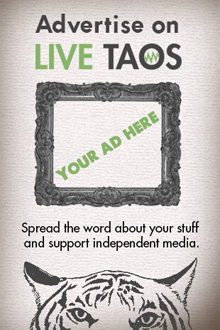 Readers can tune in and see if the music stacks up to the words I have assigned them, and likewise, listeners can direct themselves to livetaos.com to find out more about the music they hear, and hopefully enjoy. I try to write almost exclusively about music that I enjoy, so if you enjoy the radio program, it’s very likely that you’ll enjoy the column, and vice versa. Now, onto a couple of albums and artists that I really like; next week I’ll post a video of my interpretive dance in response to the Santa Fe Opera House (just kidding). In the late 1990s and early aughts, when we were all afraid of everything all of the time — whether it be the threat of another 9/11-style terrorist attack or the countless technology related perils of the modern age — there was a group of bands who confronted the anxiety head-on. The template was set with Radiohead’s OK Computer, but other notable entries into the catalog of albums dealing with new fears in a new millennia included Flaming Lips’ Soft Bulletin, Mercury Rev’s Deserter’s Songs, and The Sophtware Slump from Modesto, California’s Grandaddy. The 2000 album was the band’s second full-length, following 1997’s Under the Western Freeway. The breakthrough album is still critically acclaimed as one of the best albums of the decade and of the band’s career. The band followed that up with 2003’s Sumday and 2006’s Just Like the Fambly Cat, an album that stood as the band’s swan song for more than a decade. Grandaddy leader Jason Lytle released two solo albums in the meantime, in addition to one album with his side project Admiral Radley, which also features members of Earlimart. 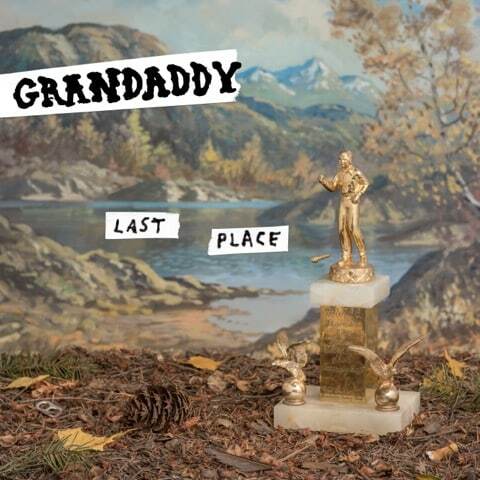 And now, after a decade of thinking we would never hear new music from Grandaddy, the band has delivered Last Place. The album is either a more fitting end to the catalog than Fambly Cat, or the start of a new chapter for the band, only time will tell. In fact, in every respect, from lyrical content to the band’s signature blend of old synthesizers, crunchy guitars and Lytle’s Neil Young-ish croon, there’s no reason to believe this album would have been much different had it been released in 2008 or 2009. While Last Place doesn’t match the creative peak of the Sophtware Slump/Sumday era, it does seem to have more in common with those albums than Fambly Cat or Western Freeway, or even Lytle’s more recent solo efforts. Following Grandaddy’s separation in 2006, Lytle moved from Modesto to Montana and eventually to Portland, Oregon. The quirky and hilarious “I Don’t Wanna Live Here Anymore” reflects the songwriter’s difficulties finding a place that feels worthy of the word “home,” while “Brush with the Wild” is one of the album’s most joyful breakup songs. Which reminds me, apparently this album is inspired by Lytle’s recent divorce (this is a troubling trend in recent Tonal Ranger reviews). This becomes more and more apparent as the album moves along. Early in the song cycle, songs such as “Evermore” manage a certain duplicity — it could be an ode to love lost, or it could just as easily be a fan missing fellow Central Valley band Pavement, with its “drop a note for Stockton” line. The ballad-heavy second half of the album gives Lytle, and listeners, a chance to wallow in the remnants of a now-dissolved relationship. While “This Is the Part” is maybe a bit too on-the-nose, Lytle strikes a balance on the album’s final two tracks, “A Lost Machine” and “Songbird Son,” two songs as beautiful as any in Grandaddy’s history. While the former compares the death of a relationship to the end of a piece of digital equipment, the latter is the rare acoustic Grandaddy song, with only slight flourishes of beeps and pings. It’s as lovely as it is sad, with Lytle telling a story without using technology or nature as a foil or fable … perhaps it’s a new start, but as the song indicates it could just as easily be the end. 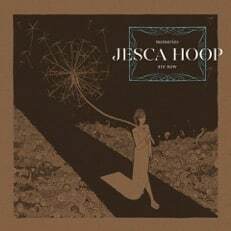 Up until a couple of weeks ago, I didn’t really know much about Jesca Hoop, the California-born singer/songwriter who now resides in England. I had received her new album from the folks at Sub Pop records and for some reason dismissed her as a sentimental singer/songwriter type. I’m not sure what I was thinking — I should have known to never dismiss anything on Sub Pop, a label with a track record for working with great artists. Luckily, while visiting friends in San Francisco during spring break, I had the opportunity to see Hoop perform at one of my favorite venues, the Great American Music Hall. I went with very few expectations and mainly to see my friends and spend time in a building that I consider my church. Delightful surprises happen, and happen they did. Hoop’s performance was nothing short of eye-opening. Her stage presence was immense and her musical talents, which include a unique but well-trained voice and a rhythmically perfect sense of timing on guitar, were great. Upon my return to Taos, I dove deeper into Hoop’s new album, her fifth, and discovered that I had nearly overlooked what might be one of the best albums of the year. Hoop’s songwriting is quirky in the vein of other timeless but current artists like Thao and the Get Down Stay Down, Torres, Joanna Newsom, and more all-time favorites like Leonard Cohen and Tom Waits (whom she worked for as a nanny in her youth). Hoop grew up in a Mormon household, and has not remained in the faith. In fact, “Memories Are Now” takes an unflattering view of religion in several lyrical instances, not dissimilar to Torres’ 2015 album Sprinter, which found its songwriter defiant, honest and melodic in the way Hoop is here. The gospel-inspired “Songs of Old” and the blistering yet quiet “The Coming” find Hoop coming to terms with the beliefs of her youth. HUNGRY FOR MORE NEW MUSIC?